Covenant Christian School (the School) is registered with CRICOS (provider number 02943C) to enrol International Students. The School will only enrol international students who are living with a parent or close relative, as it no longer approves welfare arrangements for international students. Upon arrival, your parent or guardian must update the Medical Information Form that gives the School staff enough information to be prepared for any likely medical problem (eg food allergies) and also know which doctor or medical practice you belong to while in Australia. have funds to pay the application fee and the whole year’s fees. Note: If the International Student has below average or minimal spoken or written English, they will usually be placed in a lower grade than their chronological peers. Students are to indicate on the Application Form whether they consider their own spoken and written English to be a) Minimal, b) Below Average, c) Average, or d) Above Average. Students who apply must provide their School Report documents from the previous school (unless they have not attended school before) and will be assessed by telephone call as to their spoken English skills. Those who receive a placement offer at the School will also be assessed by our teaching staff upon arrival at the School, to confirm their English language ability and to ensure that they are placed in the most appropriate class for their needs. Applying students are required to provide Covenant Christian School with written reports from their previous year of schooling. These are be in English or translated to English and will used to assist in the placement of students in a grade or year level. The student’s previous school results will be taken into account as part of our class placement procedure. 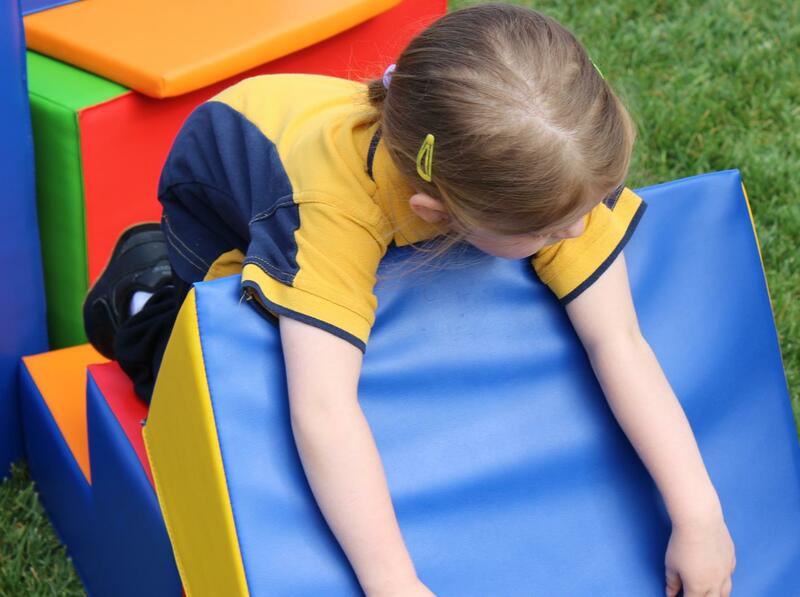 The Primary (Years K-6) course runs for 266 weeks in total (38 weeks / year). The Secondary (Years 7-10) course runs for 152 weeks in total (38 weeks / year). International students may enter a course at any time and do not have to do the entire course. However, they must stay for a minimum of 3 months (12 weeks). Students who complete the Primary course will receive a Year 6 Graduation Certificate. Students who complete the Secondary course will receive an ACT Year 10 Certificate. Students and their parents will receive a School Report twice per year, once at the end of Term 2 (June) and once at the end of Term 4 (December). Modes of Study The courses offered to International Students at Covenant Christian School are only conducted as full-time, on-site attendance courses. There is no distance learning. informs programming and planning, and learning and teaching methods used, as well as assessment choices. can also be used to judge programme, teaching and/or unit of study effectiveness (that is as a form of evaluation). is very applicable and helpful during early group work processes. collecting, analysing, and providing feedback on in and out of class work samples (e.g. how their group work projects are progressing). individual and/or collaborative tasks that usually attract a mark (group work may include both an individual and group component). Covenant is located on 6.6 hectares (16 acres) of land at 1 Woodcock Drive, Gordon ACT 2906 (Australia). For a detailed listing of its facilities and resources available for students, refer to section 14. See also our location and campus map. Each of the courses offered is provided on-site at Covenant Christian School. There are some class trips and excursions of 1 to 3 days in duration that are part of the program. There are no other arrangements with other registered providers. A Tuition Fee is payable that covers: the teaching of the course, compulsory materials, textbooks and basic stationery items. A Non-Tuition Fee will also be required to pay for uniform clothing items and, depending on the activities selected by the student, may also be required to pay for extra non-compulsory materials for certain school elective courses (eg Food Technology; Outdoor Education). The initial cost for uniform, payable upon purchase of the items, will depend on quantities but you must allow for approximately $500 which will buy enough items to provide for both Summer and Winter seasons. Each year, if the student is staying longer than one year, an additional amount of approx $200 will be payable to provide for items as the student grows and items wear out. Should the student elect to take Food Technology, Outdoor Education or any other elective subject with additional costs for materials, an additional fee will apply. This will vary from $25 to $50 per term depending on elective chosen. All Secondary students are requested to participate in a three day camp – cost ~$350. A Building Fund levy of $380pa applies for each family enrolled at the School. The School reserves the right to increase fees at the end of each calendar year. This is to cover cost increases, in particular the cost of teaching and other staff salaries. As a guide, fee increases historically have been approximately 2% above the cost of living increases. Telegraphic Transfer – to the School account. Ask your bank to identify student’s name on all correspondence sent to the Commonwealth Bank of Australia. All payments are to be made in Australian dollars only. Covenant Christian School will promptly offer refunds to parents or guardians who do not access services provided as part of the contract of enrolment – see section 3.2 for details. The School will keep on a student’s file any documents related to assessing, approving and recording a deferment of the commencement of study or suspension of study for the student, including keeping documentary evidence on the student’s file of the assessment of the application. (b) misbehaviour by the student. (b) notify DIAC and the Secretary of DEEWR via PRISMS as required under section 9 of the ESOS Act where the student’s enrolment is deferred, temporarily suspended or cancelled. The School will inform the student in writing of its intention to suspend or cancel the student’s enrolment where the suspension or cancellation is not initiated by the student and notify the student that he or she has 20 working days to access the registered provider’s internal complaints and appeals process (see Complaints and Appeals under section 8 above). If the student accesses the School’s internal Complaints and Appeals process, the suspension or cancellation of the student’s enrolment under this standard can not take effect until the internal process is completed, unless extenuating circumstances relating to the welfare of the student apply. The Australian Government has put in place rules and regulations to ensure that international students are given the education they pay for and are protected from poor practices. You may visit the following website that gives details about your rights as an international student. At the site, there is a great deal of information about the rights and responsibilities of both students and institutions involved with Education Services for Overseas Students (ESOS). Clean and safe – a survey by the Australian Institute of Criminology identified Canberra as one of the safest cities in the world. A regional centre for a large population, from Braidwood in the East, Tumut in the West, Yass in the North, and Cooma in the South. Cultural centre and location of numerous important Australian national institutions including the National Library, War Memorial, High Court, Art Gallery, and Royal Australian Mint. An education centre of excellence. An affordable place to live. A reasonable public transport is available with concessions for students. Designed so that all suburbs have easy access to local shops and town centres where supermarkets, hair salons, cafes and restaurants, consumer electronic shops and many more businesses are located. A scenic place to live. You will have the choice of ski fields in winter and beaches that go on for miles both within a short two hour drive of Canberra, plus bushwalking and mountain-biking all year round. Canberra itself has more bicycle paths than any other city in Australia, and is designed with natural parks integrated throughout the city. You will experience fresh air and natural beauty in Canberra. Canberra is one of the few places in Australia where you really can enjoy four distinct seasons with lots of sunshine all year round. You can expect warm to hot summers, clear, crisp winters, spectacular springs and balmy colourful autumns. Fact: Canberra enjoys more hours of sunshine than Sydney or the Gold Coast. In Australia, the school year begins in late January – early February, with short breaks in April, July and September. The school year finishes just before Christmas, with the long school holidays over the Australian summer in December and January. * All statistics are approximate and current at June 2016 (some figures more recent). Note: These prices are only meant to show the cost of living in Canberra. International students under the age of 18 must be accommodated by a specific relative or guardian. The School does not actively market for international students and currently depends on word-of-mouth recommendations from its past and current international students and families. Recruitment of students is conducted at all times in an ethical and responsible manner and is consistent with the requirements of the curriculum. Appropriately qualified staff assess the extent to which the applicant is likely to achieve the outcomes of the course based on the applicant’s level of English and academic results. Commencing in the 2016 academic year, applicants from non-English speaking backgrounds who have minimal or no English language skills must attend either the Primary the Secondary Introductory English Centre (at their own expense) and successfully complete the Pre-Intermediate course (10 weeks). 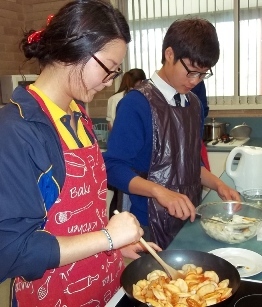 This course is organised around nine themes, including school, food and shopping, orientation to Canberra and animals. Each theme incorporates a wide range of activities covering the four macro-skills of listening, speaking, reading and writing. The Pre-Intermediate course includes grammatical structures and focuses on the functional and communicative demands of Secondary schooling. Students will be offered a place in the school with minimal English proficiency and placed at a grade level normally associated with their age. These students are expected to continue to learn the English language by ‘immersion’ in the school’s English language environment. They are advised to independently source English-language tutorial materials (at their own cost) if they require further instruction.